As you know the Middle East bureau focuses its work on community empowerment, internet infrastructure, and technical aspects as well as policy discussions that are relevant to the region. 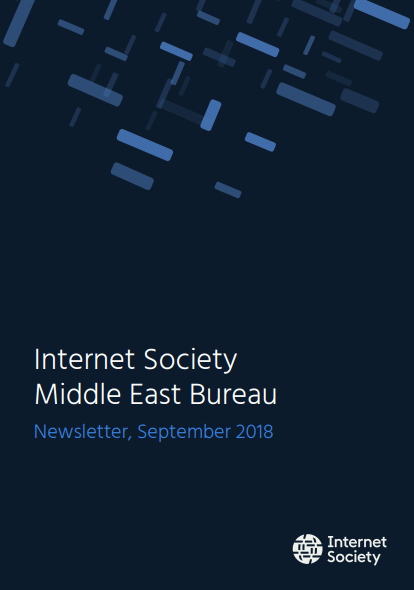 We bring to you the Society’s key activities and news on the transforming the Internet landscape in and around the region. We participated at the 5th edition of the Middle East and Adjoining Countries School on Internet Governance (MEAC- SIG) in Cairo, Egypt. Our very own Salam Yamout, Regional Director was a speaker at an interactive roundtable session during which various groups discussed how they interact with the Internet’s governance institutions and the opportunities for engagement and participation in Egypt. We also supported and participated in TechStars Start-up Weekend in Beirut, Lebanon which is an event that brings together the country’s designers, developers, entrepreneurs, and experts from all domains to do amazing things. Nabil Bukhalid is a co-founder and ex- officio president of the Internet Society Lebanon Chapter was one of the event judges at the event. Read more on how internet access and education can transform 350 million lives in the Middle East. Salam Yamout, Regional Director of the Middle East, ISOC had the opportunity to speak at a panel entitled “Digital Skills for the Labour Force and Entrepreneurs,” at MENA Innovation 2018. All the panelists stressed on the importance of education and entrepreneurship for building the future that the region needs. They also discussed it is important to work in collaboration to make the region drivers of innovation and shape its future to the needs of the youth. In her blog, Salam highlights three key factors that needs to be taken into account for this transformation: Click here to read more. The Internet Society is at the heart of the Internet community and active in conferences and events around the region, many of which it organizes or supports directly. Please see below the list of upcoming events and feel free to stop by and meet us in person. Layal Jebran is the Regional Community Manager of the Middle East. Leading ISOC’s community engagement in the Middle East, Layal is responsible for promoting membership growth, creating and managing existing communications channels, and organizing regional activities and will serve as the primary point of contact for chapters the Middle East. Prior to joining the Internet Society, she was the CEO & co-founder of Moubarmij and a member of the executive board of ISOC Lebanon Chapter. 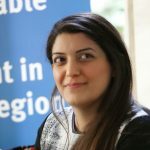 She led several initiatives such as organized Start-Up Week-Ends around Lebanon; started PIC, an NGO dedicated to remove offensive and racist graffiti; and initiated 105hours.com to enable entrepreneurs everywhere to connect with mentors for help. Layal was selected as a ChangeMaker for the CXC in Dubai by Ashoka for 2017; as AMENDS Delegate for 2017 by Oxford University; and as a TechWomen 2017 by the U.S. Department of State’s Bureau of Educational and Cultural Affairs. Layal is the Winner of the #Shabab2030 competition by MBC Hope, in Dubai January 2018 and an ICANN fellow for the ICANN61 in Puerto Rico March 2018. Spread the word: Tell your friends and colleagues to become a member to help build an Internet network that is open, globally connected, and secure. Would you like to join your local Chapter? Contact the leaders of the chapter.